Now, we have experienced the internet era which provided us with a lot more options than the daily news papers. In my previous posts, I revealed how to use the social media for job search, where to search for jobs online and how to be effective in joining LinkedIn – a social media for job search. This post is not about online resources for job hunting; rather it is a backward approach to see: if we would have implemented other offline job search tools, what could be our chances of landing our dream job. The post is a bit long. So, make sure you read to the end and get me your opinion. In era where we’ve become dependent on the internet, many job seekers online automatically use best job search sites or job submitting websites. While these online job search tools are terrific way to start finding job openings, you need to keep in mind they are not your only option. In fact, if you are searching for hot jobs in Nigeria, you will want to look out our local newspapers, the job vacancy advertisement sections of them specifically. As nice as it is to know that you should look out the job vacancy advertisement section of our local news paper, you might be interested as to the reasons it is so important to do so. What you ought to know is the fact that, although, many organizations have started using the internet to their advantage, not absolutely all have. 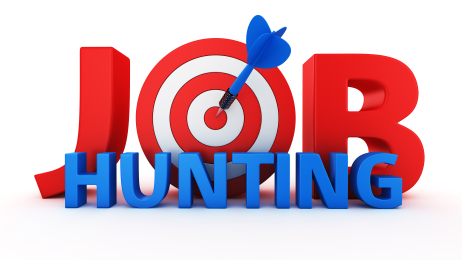 Which means that there could be a great job opportunity locally listed on the daily news papers, however the company behind that opportunity might want to not make an online job adverts or may well not even understand how to make an online job listing. You don’t want to take the chance of missing out on any high paying hot jobs do you? As your answer is probable no, you shall want to look out our local newspapers and its job vacancy advertisement section. Another one of the many reasons why you should use the national newspapers and its job section is due to local businesses. In the event that you live in a huge city or near one, it’s likely you have multiple newspapers to choose from, which likely give attention to a specific area. If you have your hometown publication, you might be in a position to know what companies are those with stated jobs. This is often a bit difficult to do online sometimes. This can help you, as it could prevent you from trying to get any jobs with companies you know have a bad track record with paying or treating their workers poorly. Ease of accessing your vendors is merely another one of the many reasons why you need to use your news paper for job search to help you study all jobs opening. You can find multiple locations, even many of them possibly, which should sell the national newspapers. In fact, you may even have a subscription to one of your local newspapers. Which means that you may now have a newspaper in your possession or it might imply that one will be delivered. If you so wish, you might want to open it right away and start looking up all job listings immediately. Since newspapers are generally read, you really need not walk out your way to look at the jobs posting within them. Also See: Problem with Fresh Graduates Not Getting Job Faster – How to Fix It! Should you decide to take advantage of your local newspapers and their employment sections, you should like the opportunities that you see available. You shall find that a lot of opportunities are local already; therefore, you don’t need to worry about sorting through national jobs opportunities. With regards to the job opportunity or the business in question, you might be asked to email in your CV or post it personally. . Should you mail in your CV, you will want to create a brilliant cover letter for yourself. When creating your cover letter, you will want to outline where you heard about the job in question, like from your local newspaper. This may help you, as it can identify you as a local resident who may be available to come in for an interview at just about any time. Should you choose the internet also, together with your local newspaper, you should take a look at any online newspaper of your locality. Not often, many newspapers have separate classified advertisements, including job listings, for their online and their printed editions. Which means that you could be in a position to find more local job entries using the internet together with your local newspapers. Perhaps, it is advisable to look at all your options, but make certain to examine your local newspaper’s job vacancy advertisement section. Often times people get caught up in the online job search. Don’t forget to check your local newspaper. Companies will still advertise in these papers. Especially, look at your local community paper if any, you’d be surprised how many jobs you can find in those. Some of these companies will only advertise in these papers, these jobs may never find their way to the internet. With thousands of newspapers across the nation, classified job listings can be a valuable research tool in your job search. When searching For a hand-selected collection of newspapers online or printed edition featuring classified job listings in Nigeria it is very easy to get confused and lose a lot of time going from one news paper to the next. I recommend reading every Tuesdays and Thursdays Guardian national newspapers and every Wednesdays Punch news paper to give you all the latest hot jobs listing in Nigeria. Buying newspapers daily too is money. I feel is much cheaper to search for jobs online than to look out for job listings in the local newspapers. You are not far from the truth. However, you can also access your local newspapers online via their url if you can’t afford to pay for the printed version. The point here is, job seekers shouldn’t rule out their local newspapers during their job search as they may have promising opportunities advertised in them. Let me know if you have any question. Thanks for your comment.